An Opinion On Sports: Number 13 at Augusta National: Just a Little Bit Longer...? Number 13 at Augusta National: Just a Little Bit Longer...? Augusta National has recently purchased land from neighboring Augusta Country Club that will apparently allow the famous par 5 13th to be lengthened by backing up the tee box. The once daunting spectacle hole has been conquered by new golfing technology in the form of metal drivers and new golf balls. 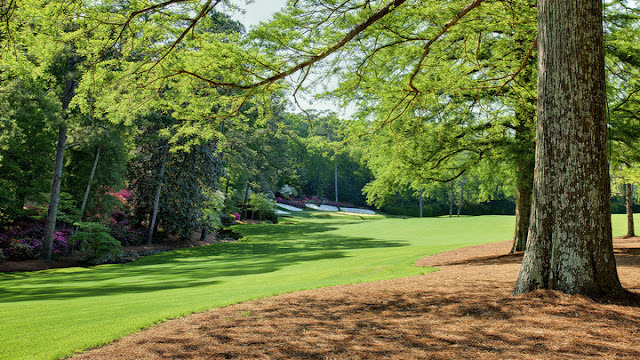 So much so that this year's Masters saw the iconic 13th play as the easiest hole on the course during the four day tournament. It will be interesting to see how many yards will be added by the new design, and how differently the hole will play. Perhaps the new changes will add more of the risk/reward virtues the 13th was always noted for in the past.